This guy's stuff is pretty good. I like the props especially, but worth looking into for a little added atmosphere. It is all CC0 "Public Domain", so... i say this is perfect. Great find! Hopefully we'll be able to parallax them without too much pain. Yeah and it want a foliage and color-tone mastering a little. Does normal maps here? If anyone wants to take the models, textures, etc... re-master or otherwise use new textures, make it awesome for inclusion... feel free! Since this are statics, they can be exported straight to OSG native. I have good news and I have bad news. Good news is I got the werewolf mechanic to work! Bad news. 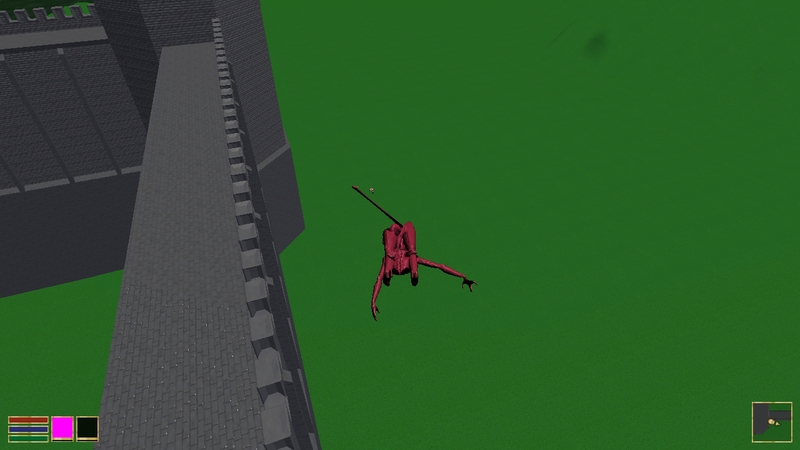 It seems we cannot use a custom skeleton, or you will get the result you see in the screenshot. 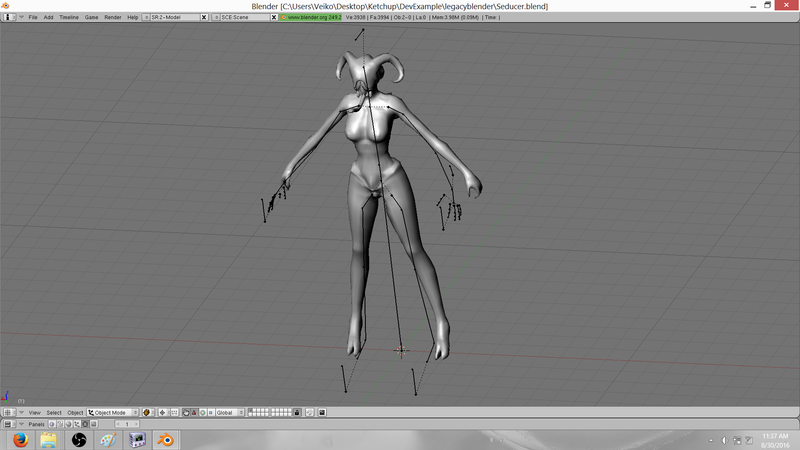 I´ll probably have to rig it to the same skeleton we currently have in anim files. And that skeleton does not match the seducer model very well (wasn´t made with it in mind). The tongue is also going to be problematic. Morrowind handles it like this. Anim files (no tail) -> argonian anim files (tail) -> werewolf animations. This way you can get a working tail for the wolf. We could use this to get a working tongue. However I suspect it may be a lot of work figuring this out. So do we maybe skip the tongue for now? There´s also the option of forgetting the werewolf form. Just make her a creature, with tongue attack and her own skeleton. This is the easiest option here. She must be playable in other case, wht will be ideas to fix the issues? Methelina wrote: She must be playable in other case, wht will be ideas to fix the issues? Rig to the current player skeleton. Hope the skinning is not too horrible. Found some more stuff by the same guy above, including modular parts for medieval houses. Nice find. Unfortunately there´s never been anyone to spend time on porting opengameart assets. I´ve made a task for it, maybe someone will pick it up. DestinedToDie wrote: Nice find. Unfortunately there´s never been anyone to spend time on porting opengameart assets. I´ve made a task for it, maybe someone will pick it up. Well... if I can find time to go through the newb2pro blender book, I might take some time to port them.